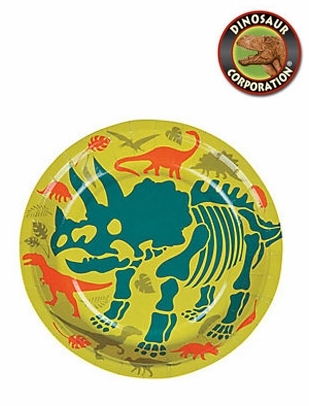 Kids will love dinosaur-themed birthday party tableware with these awesome dino dig dinner plates! A perfect choice for dino dig birthday parties. Featuring is Triceratops dinosaur skeleton.